from Crittenden, US 25 to Sherman Mt Zion Road go R, to Cason Lane go L, go 1.1 miles arrive at property. 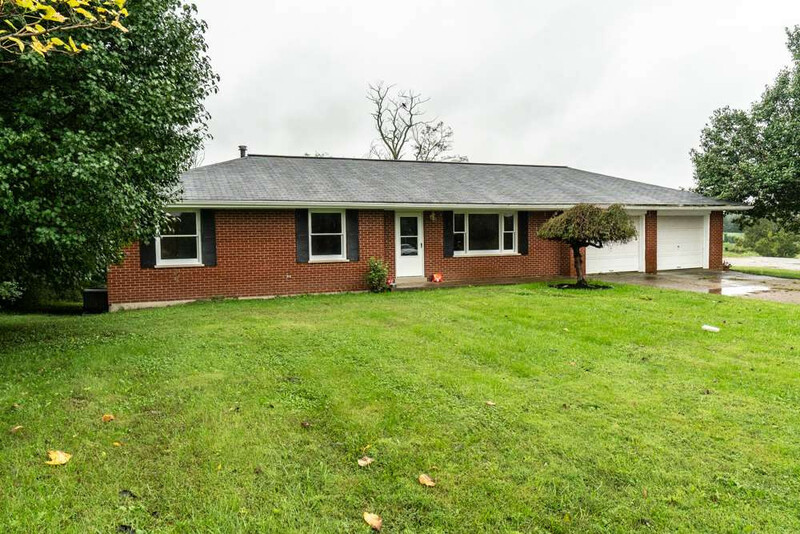 92.5 acre farm with 3 bedroom 2 bath home ranch home!Enjoy the beautiful views and tranquility of the country within minutes of I-75!Owner has recently updated the HVAC system,fresh paint,new floor coverings,mostly mown,26x24 oversized garage, 3 barns on property. Walkout basement. Fully fenced, formerly a working cattle farm, large pond, city water available! Disclaimer:Seller has never lived in the property and therefore buyer should verify all aspects of the property including any descriptions in this advertising and rely on their own inspections including utilities/septic system available.